Our Light Fittings are produced in the UK. 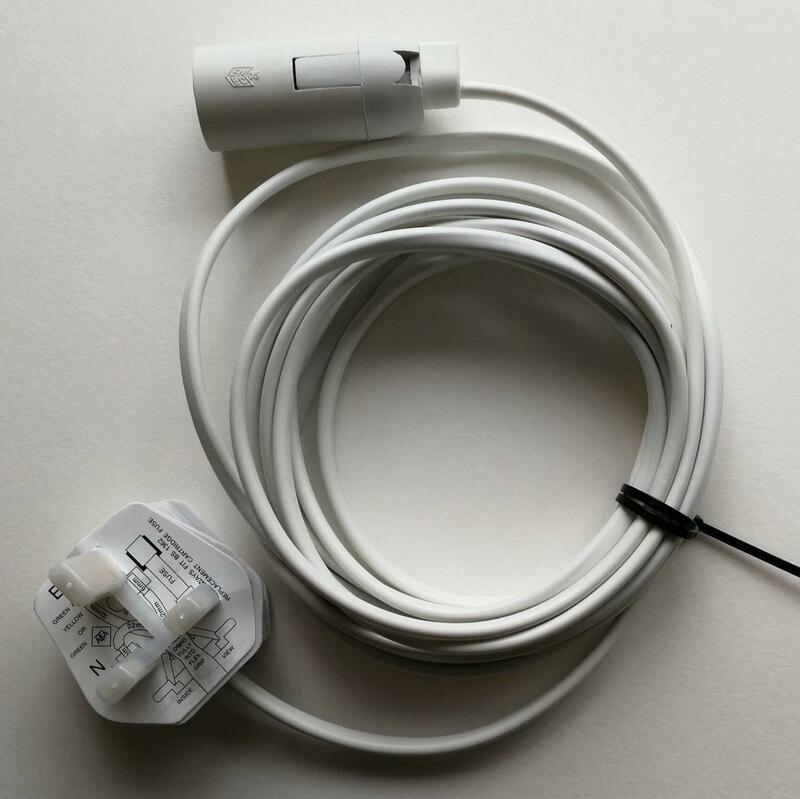 They are ready made with 4 metres of white cable ( long enough to hang your Starlight pretty much anywhere), a 3 pin UK plug on one end, and a Screw Cap (Edison E27) lamp holder on the other. Please note: for indoor use only. If you are looking for a battery powered light bulb, we also sell an LED bulb on a rope which runs on AAA batteries which we supply.